One Friday morning it was quiet in the office and none of my “lunch crowd” was around that day, so I made the 45 minute drive to Gainesville. Arriving and parking just off the square, shortly after noon, I went in and took a seat at the counter. After perusing the menu, I was faced with a dilemma: Burger? Or chili dog? Burger? Or chili dog? Burger? Or chili dog? How could you choose between the two? Exercising the wisdom of Solomon, I decided on one of each, no fries (that was my concession to my “eat-better-live-better” mantra). The burger was definitely good. 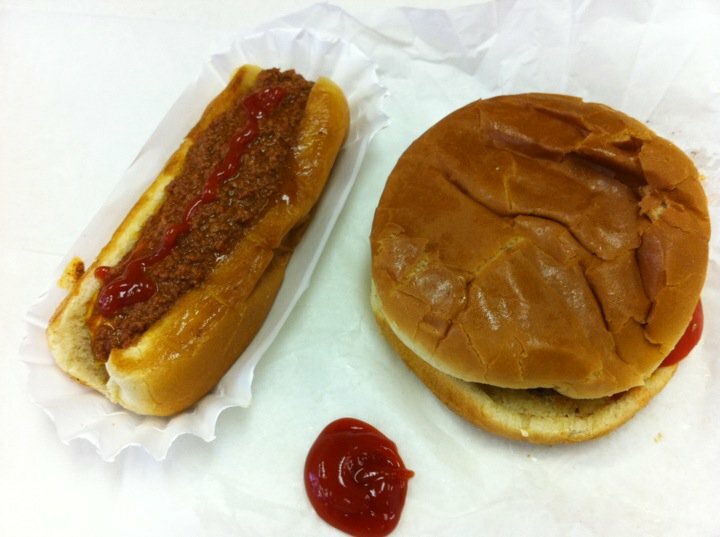 The chili dog the same. Overall, a worthwhile lunch adventure. Not as culinarily lucrative as the other trip to Gainesville, a couple of months later earlier, but worthwhile, none the less. As I was walking back to the car, fairly full, I saw a window sign that caught my eye. 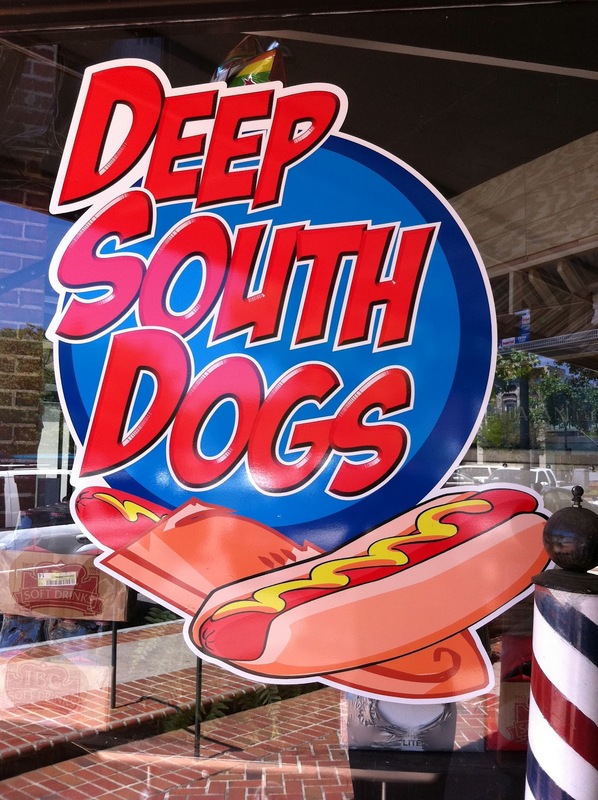 Anyone brave enough to open a hot dog restaurant deserves a try. So I went in and had a chili dog. 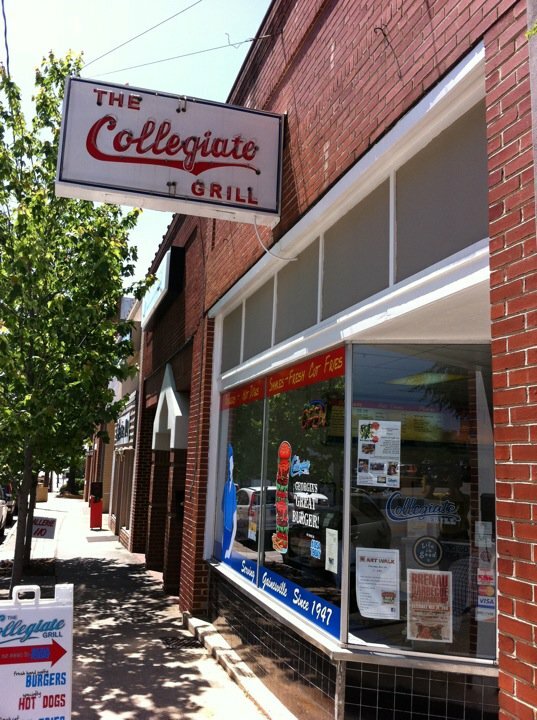 The one at the Collegiate was much better.